As organizations discovered the power of computers back in the 70s & 80s, they started investing heavily in putting robust information systems in place to organize their data. The user interface which started as a simple green screen to manage data on mainframes, then evolved over the decades. We entered various phases such as the client server era (Power Builder, Visual Basic et al), the Internet web application era (J2EE, .NET et al) and in the last decade, the Mobile era (Native, Hybrid et al). In each evolution, companies kept rewriting their interfaces and, in most cases, held on to their system of records. We now enter a new phase, thanks to the evolution in Artificial Intelligence and Natural Language Processing, wherein the same systems of records can now be interfaced with chat clients. So, what’s the big deal? 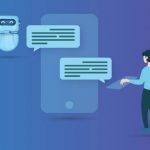 Unlike earlier evolutions of user interfaces, this era is truly disruptive because this is the first time in human history wherein we have uncovered how to allow end users to interact with organizational systems in a conversational format. Rather than interacting with systems on a structured screen, conversational interactions are becoming more natural to humans. Rapid adoption of various chat messengers, both in business and personal lives, is a testament to this new technology being very powerful. With a view to improve user experience and drive adoption of their digital properties or applications, companies have spent 1000s of dollars in refining the user interfaces of their digital assets. Line of Business & IT executives know that more a system gets adopted, better the top line and bottom line growth for the company. However, in each instance the big barrier was a large and often transient user base that often-had difficulty, adopting to new systems and user interfaces as they continued to evolve with every release. Enter AI technology (and thanks to the likes of Amazon Alexa, Google Home and Apple Siri that made the NLP technology pervasive and inexpensive), companies now have a chance to socialize their system of records across constituents and allow them to interact with them in a more natural and humane way. The results of early adopters of this new AI technology is compelling. A recent Gartner study of Chatbot projects reported that 85% of all customer service interactions would be handled by chatbots by 2020. Adidas, Just Eat and other retailers have seen 2x times conversion rates and 3x faster response rates by chatbot implementation in their apps. Other than the adoption rate improvement, there is also a big side benefit of an AI powered Chatbot rollout that often gets overlooked. With this new revolutionary technology, companies can now also begin to organize their unstructured data into structured data at runtime. Today, massive amounts of organizational information flows through emails, chat conversations and resides in unstructured content items such as power-point presentations and word documents. While companies are now beginning to organize this using Big Data, it is still a retrospective view of this data. 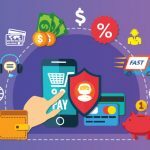 Chatbots offer a unique opportunity to organize this real-time information into a structured system, thus allowing companies to trigger faster actions on events, thus giving them an edge over competition. A meaningful Chatbot technology platform should not only allow for easy implementation of business rules (that often reside on top of the system of records) but also should be easy to integrate with a variety of system of records. 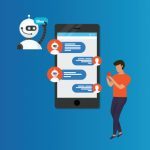 Often, companies rolling out Chatbot projects make a mistake of just loading content in the ChatBot engine and they don’t see much adoption after the roll-out. Non-integrated content-only bots are just glorified search interfaces. So then, how to roll out these “Transactional Bots” that are integrated with Enterprise systems? There are a variety of platforms and tools available in the market today wherein you can roll out an enterprise grade, system integrated Chatbot. However, most of these tools require heavy IT involvement and often the cost is prohibitively high for companies to even attempt the project. In contrast, Streebo Research Labs in conjunction with our technology partners like IBM, Samsung, HCL and RedHat have now created a Chatbot Builder that allows both IT and LOB to rapidly assemble a transactional bot with seamless integration with one or more backends (system of records). In a matter of minutes, it allows for conversational style interaction with your enterprise systems. The Line of Business (or IT) can quickly set-up conversations and train the bot for “intent” using easy to use browser based graphical user interfaces. More importantly, it also allows for easy, point & click integration with a variety of back-end systems such as Relational Databases, ERPs, Mainframes and ESB layers thus allowing our clients to rapidly assemble an enterprise grade “Transactional Bot” in a matter of minutes. Streebo Chatbot builder, also includes the IT Governance platform wherein the IT still centrally controls the deployment, security and access control of all information flowing in and out of the Chatbot system. The tool and platform are backed by some of the largest technology companies in the world and is also integrated with external third-party clients such as Facebook messenger. Want to try it out? Drop us a note, and we will set-up a custom demo for you and train you so that you can easily assemble a fully Integrated & transactional Enterprise Grade Chatbot in a matter of minutes for your own organization.